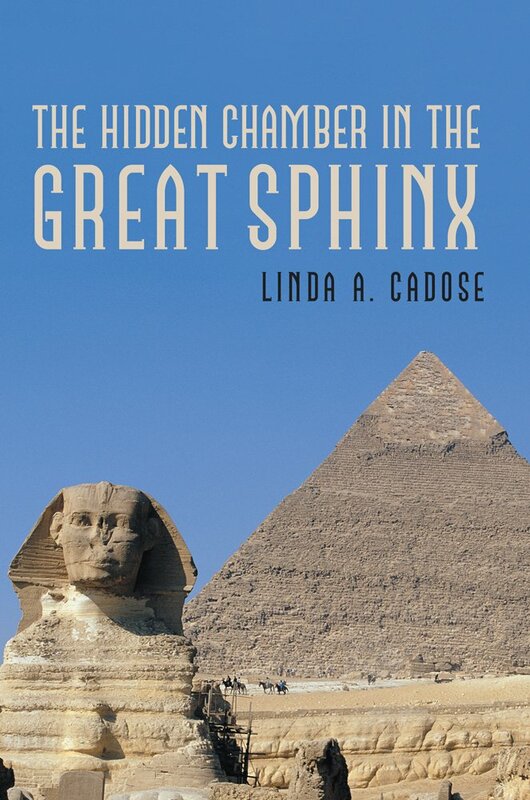 Today, we're visiting with Linda Cadose, the author of The Hidden Chamber in the Great Sphinx. The Hidden Chamber in the Great Sphinx, by Linda A. Cadose, is a YA mystery adventure novel set in Giza, Egypt. The book follows archaeologist Dr. Cliff Post and his friend Dr. Abdul Saad who discover a hidden chamber in the Great Sphinx. Inside of the right paw they find ancient scrolls and 13 crystal skulls that form a supercomputer. This great discovery soon takes a dangerous turn when Drs. Saad and Post are followed, spied on and eventually kidnapped. On this extraordinary adventure, readers learn information about not only the Great Sphinx but also about Egypt, its mysteries, and the study of archaeology. The Hidden Chamber in the Great Sphinx is the first book in a series featuring the tales of American archeologist, Dr. Cliff Post. Follow him in later books as he visits underwater pyramids and goes to Jerusalem. Tricia: Welcome, Linda! Can you tell us a little about yourself? Linda: I am a former respiratory therapist who is now a full time writer. Linda: I began writing when I was a student at Boston University. In the beginning, I wrote for my nephew who was a reluctant reader. Linda: I write a summary of my book first. Then I write a fluid outline of the book which changes as the book develops. Linda: The Hidden Chamber is a mystery adventure set in Giza, Egypt. It is the story of teo archaeologists who discover a hidden chamber in the right paw of the Great Sphinx. Secreted in the chamber is a supercomputer composed of 13 crystal skull. Dr. Cliff post is kidnapped. Will he survive? Will the supercomputer be recovered? Linda: I got the idea for the book from my trip to Egypt. I have visited all the sites I describe in the book. Linda: Dr. Cliff Post because he is an honorable and intelligent man who is loyal to his friends. Linda: The most challenging aspect of writing the book was not allowing the nonfiction aspects of the book overshadow the story. Linda: The fact that although my story is fiction an actual ancient computer does exist. It is called the Antikythera Mechanism. Linda: My goal is to entertain and educate children. Linda: Maurice Sendek and Rick Riordan. Linda: I am currently working on my third book. Linda: Keep writing and never give up. Linda A. Cadose is a retired respiratory therapist who is now a children's book author. She is the author of The Hidden Chamber in the Great Sphinx and The Underwater Pyramid in the Bermuda Triangle, a YA mystery adventure series featuring the tales of American archeologist, Dr. Cliff Post. Linda likes to travel, enjoys reading, and loves history. She currently resides in Carver, MA. to work. Talking about Egypt and being in Egypt were a far cry from one another, and the short time he'd spent there made him want to be back immediately. He was in one of his afternoon classes giving a lecture, and he kept glancing at the clock. wasn't losing them. A student raised his arm, and Cliff pointed to him. "Professor, I understand why the Egyptians made the pyramids, but what was the purpose of the Great Sphinx?" "That's a good question, Peter. The Great Sphinx guards the pyramids of Giza," Cliff told the student and pointed to another student who had her arm in the air. lady wanted to know. Some of her classmates giggled. Stephanie's question?" Cliff looked pointedly at some of the students who'd giggled when Stephanie asked her question. "You, there. Thomas. You seemed to be very amused by Stephanie's question. Should we take it that you know the answer?" that he found himself in the hot seat. means 'living image' or statue. It is a sculpture carved out of a sandstone knoll. The Great Sphinx is 240 feet long, just a little under 14 feet wide and stands 66 feet high. It wears a Pharaoh's headdress, which is denoted by the cobra on the forehead. were painted black, and the headdress was painted white. The Sphinx is situated so that it faces the rising sun on June 21st, the summer solstice. the Great Sphinx is believed to be the likeness of Amenenhet II. Are there any questions?" turn. Cliff continued his lecture. Old Kingdom. Anubis was the god of the dead and mummification. He was placed on the Giza plateau to guard the Giza necropolis. The proponents of this theory believe that the body of the Great Sphinx is the body of a dog and not the body of a lion. he saw the young lady's arm in the air. "Which pyramid is the biggest, Dr. Post?" Stephanie asked. "The largest of the pyramids on the Giza plateau is the Great Pyramid of Pharaoh Kheops (Khufu). It is almost 486 feet tall. The pyramid's base occupies 13 acres and is said to represent the Equator. The apex of the pyramid deviates a half a degree from True North and is said to represent the Northern Hemisphere. The Great Pyramid was built with two and a half million blocks of limestone, some of which weighed 15 tons. That is more stone than can be found in all the churches, chapels and cathedrals built in England since 33 A.D.
and the first person to record seeing it was a British Air Force pilot by the name of P.
acknowledge Thomas who had raised his arm into the air. "Dr. Post, I read something odd in the book, and it didn't make much sense to me. It said something about a Queen's Chamber that was built, too, but am I mistaken that it wasn't actually for burying the queen of the Pharaoh?" Thomas' brow was furrowed as he asked the question. "The ka was the pharaoh's essence," Jacob said confidently. there was pronounced movement among the students as they took out paper and began to write. Cliff chuckled inwardly. He knew the mention of the final exam would make his lecture more interesting to his students. with his class, so the stragglers could write down all the terms. Once he was satisfied that they'd all had a chance to catch up, Cliff continued his lecture. "The story goes that after his death, the ka of the pharaoh was put on a scale and weighed against an ostrich feather by the god Maat. If the pharaoh's heart was lighter than the ostrich feather, it meant that the pharaoh could enter the afterlife. Even in death, the ka would continue to need sustenance, so the family left behind by the deceased pharaoh would continue to nourish it with food and water. Are there any questions about the Great Pyramid of Pharaoh Kheops?" Cliff paused but no one raised their arms to ask questions. you need to be writing down the terms I mention, because you'll probably see them on the final examination. Now then... The Second Pyramid was built for the Pharaoh Khephren (Khafre) and is 446 feet tall. It is made of massive limestone blocks faced inside and out with slabs of red granite. It is easily identifiable by its layers of casing stones. The Second Pyramid measures 78 million cubic feet. pyramid are pink granite, and the rest is limestone. Menkaure's sarcophagus was made of basalt and was lost at sea while being transported to the British museum. their citizens and required them to labor at massive building projects. whole which are connected by interlocking golden angles. These golden angles measure 26 degrees, 33minutes and 54 seconds. The golden angle is found in all four corners of the Great Pyramid, all four corners of Khephren pyramid and in two corners of the Mykerinus pyramid," Cliff said as he paused and looked at the clock. He was out of time. "That's all we have time for today, class. Make sure you finish reading chapters 23 and 24 in the book, and I'll pick up where I left off in the next class." When all the students had left the room, Cliff released a long sigh. He stuffed his notes in his briefcase and walked out of the building. Out of a class of 45 students, only four had bothered to participate in today's class.